What if I told you of a gorge that’s capped at a maximum of 40 people camping there each night (and it rarely gets anywhere near that), and that its got a great walk and amazing scenery? Keen to know more? 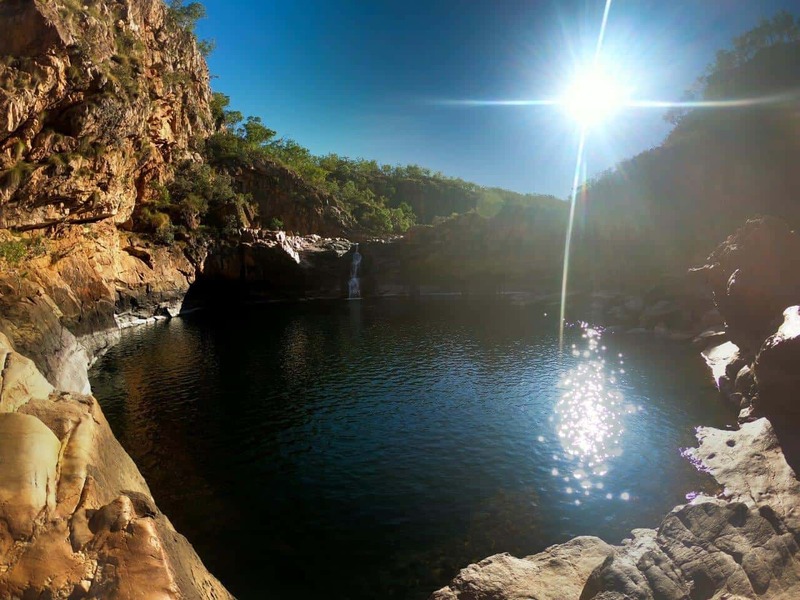 It’s Koolpin Gorge, located at the southern end of Kakadu National Park, and accessible behind a locked gate. 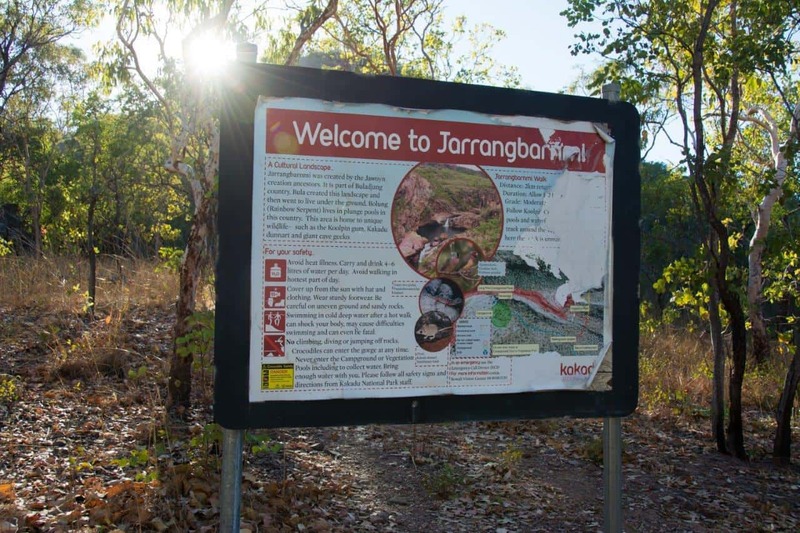 In the aboriginal language, its known as Jarrangbarnmi. Koolpin gorge runs on a permit system; you go here, print out the form and fill it out for the dates you plan on visiting. You can go in just for the day, or you can camp overnight. Email the form in, and wait at least 7 days. 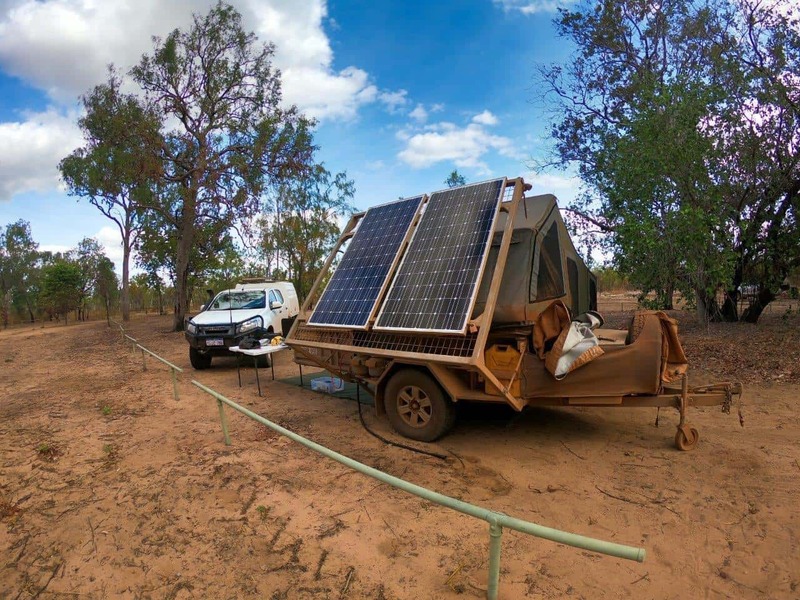 Ideally, do this well before that, so you have plenty of time to get it all sorted; we left it to 9 days before wanting to enter, and ended up with no phone reception in Kakadu to download the approved permit, and print it out. I don’t know why it takes so long to get approval, and suspect there is much improvement to be made here, but the way around it is to fill your form in early and wait to hear back. There’s a capped number due to important aboriginal culture, and some natural values too (like rare species of animals). The drive into Koolpin Gorge is restricted to 4WD only, and I’d say you are probably pushing your luck taking any soft roaders in as there are a few rutted sections that are a problem. The road into Gunlom was pretty bad when we visited, and its supposed to be 2WD access. 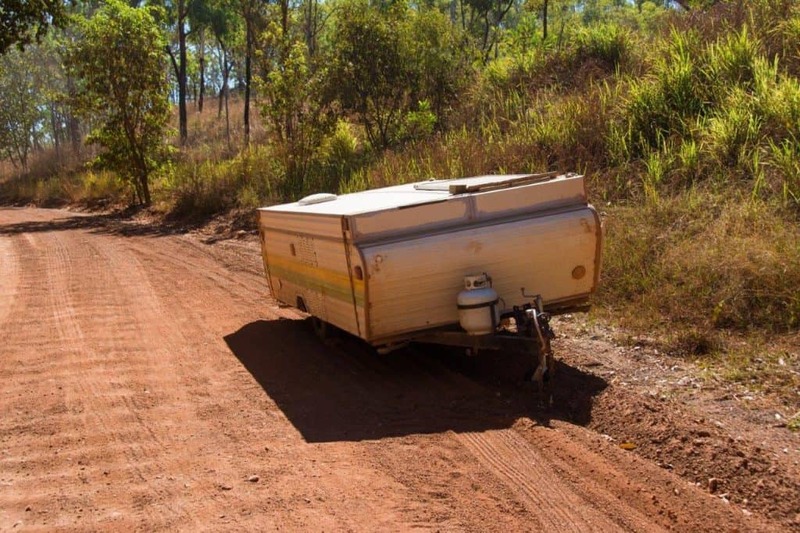 I saw a couple of 2WD vehicles getting the absolute guts shook out of them over every single corrugation at about 15km/h, and would not recommend taking a 2WD vehicle in unless its in good condition. We had our tyres down – roughly 30% of air removed from your normal highway pressures seems to be the go. Tyre deflation is critical for many reasons; don’t skip it. Head in towards Gunlom Falls, and at the tee junction, take the right turn. This road is only travelled by those going to Koolpin or to the picnic spot, which makes it low traffic and generally in good condition. About 10km along the road you take a turn off to the left, and go through a gate which is closed, but not locked. Make sure you shut it. Continue down the track for some time, and you’ll cross two beautiful creek/rivers. The second river requires you to take a hard 90 degree turn and cross it, with the exit easily missed if you don’t look carefully. 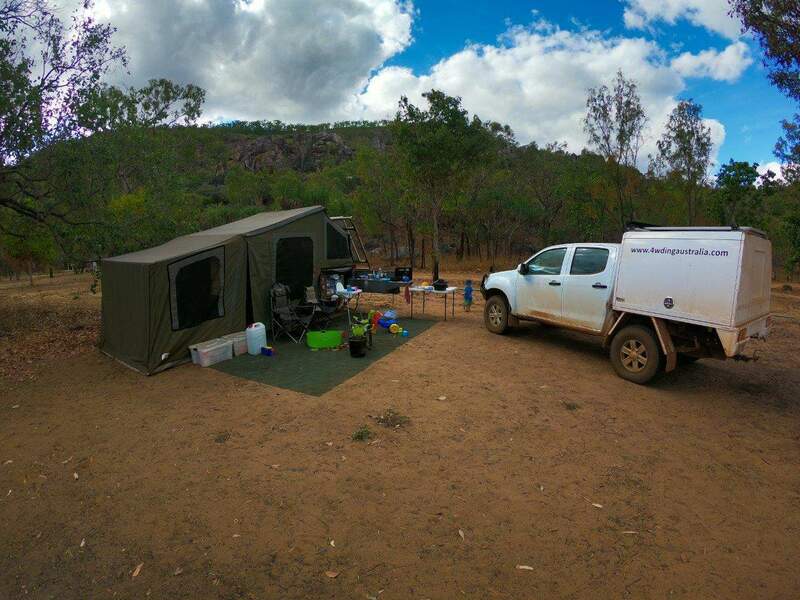 This is fairly narrow, but we made it through with no dramas towing the camper trailer. From there, unlock the gate, lock it again and enjoy the drive in. It’s best done slowly and enjoying the scenery; what’s the rush, and there’s lots of rocks, ruts and dips that you’ll want to slow down for anyway. 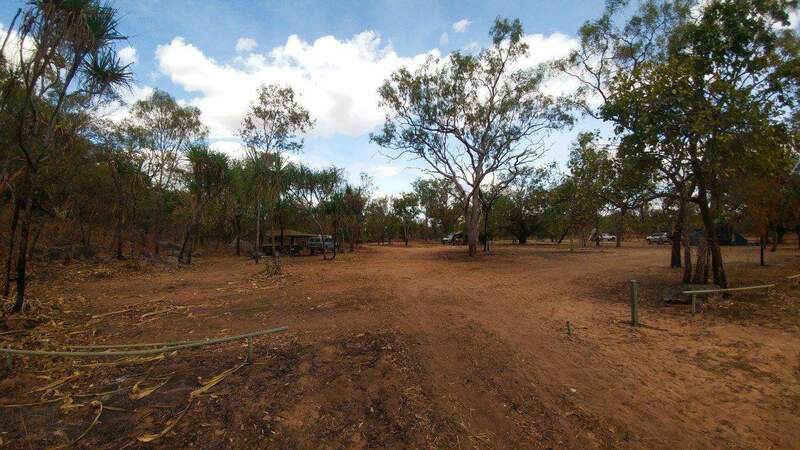 You’ll eventually drive past a sign on the right which is where the walk starts, then a day use parking area another 100 metres away and 100 metres past that is the camp ground. Whats the camp ground like? Given this is not used by very many people at all, there’s only a drop toilet. There is no running water, and you are advised not to take water from the pool close to the camp ground as there are salt water crocodiles that live there. Two salt water crocs around 2 metres long were removed in the week before we visited, and despite it looking like an absolutely magic place to swim, you’d be mad to jump in. It’s just not worth the risk. 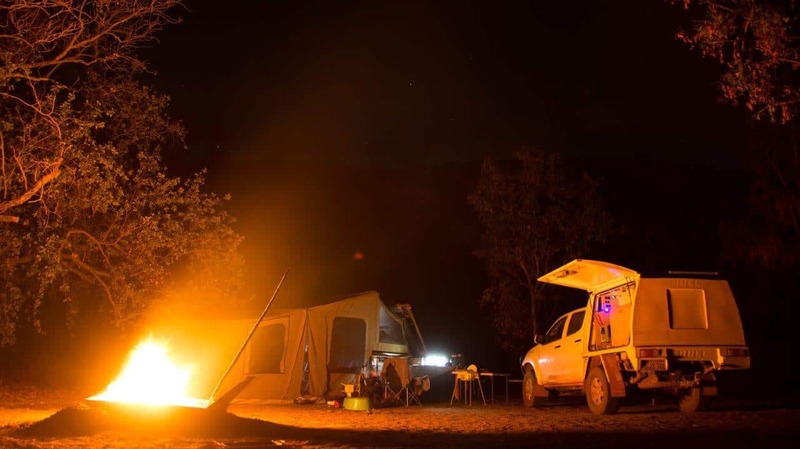 The camp ground at Koolpin Gorge. To do the walk, head back out to the sign, and follow the pink tape. 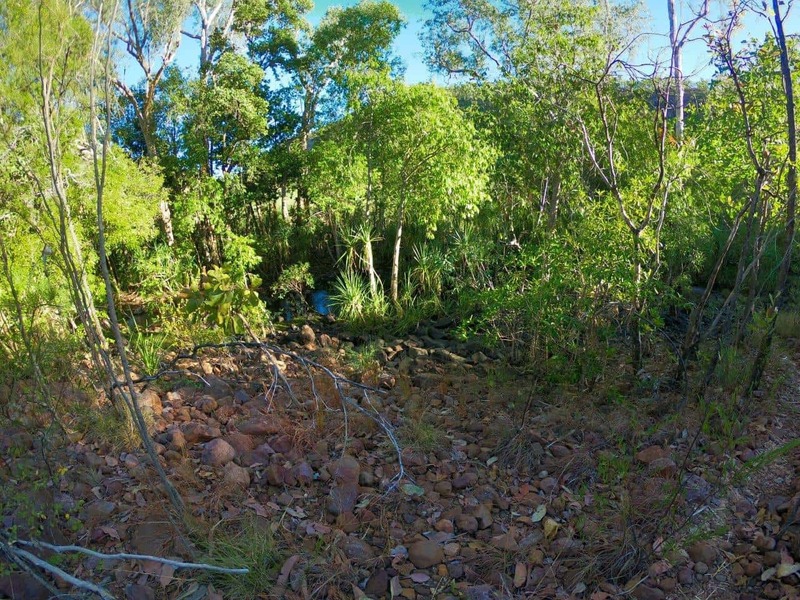 The walk starts off with a short, sharp climb up and then back down, then you cross over the edge of the vegetation pool, and walk around it on the left side of the gorge. Follow the pink tape and signs, but there will be places where you lose them and have to look around. Keep the gorge to your right and you’ll have no issues. There’s a bit of rock work to be done, with some of them reasonable size, but contrary to what we were told it was actually relatively easy. Easy in terms of physical exertion and length. 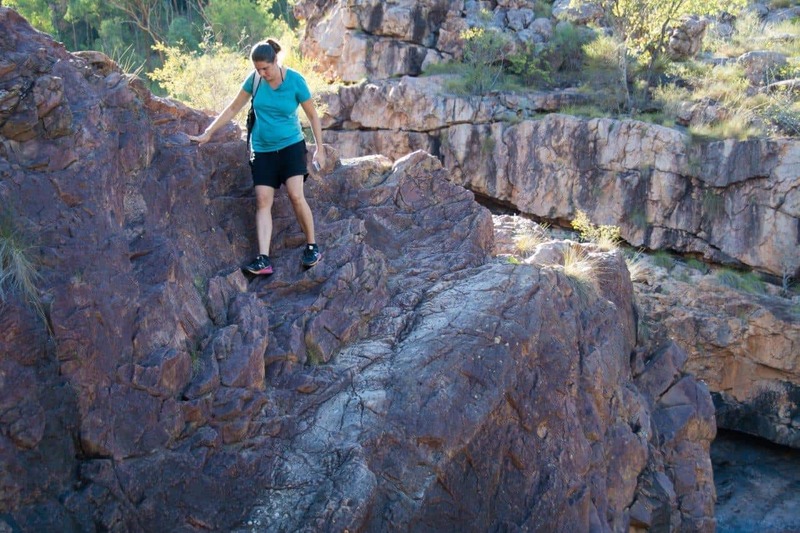 If I were to compare it, I would say asides from a couple of sharp up and down climbs its easier than the walk to Jim Jim falls (and much shorter too) and heaps easier than the walk to the top of Gunlom Falls. Eventually, you’ll get to a decent sized rock, and have views over vegetation pool and the second pool. From there, only two pink markers go further; hug the left hand side along the rock edge, and you’ll be able to cross onto the massive big rock further up. You can walk along that, down and cross over, and that’s where the pink tape ends. That’s all we did, and had a great time. If you want to go further, head up the hill in front of you, over the top and back down the other side. We only found this out after, and I doubt that we’d give it a crack with a baby carrier on, and pregnant wife anyway. 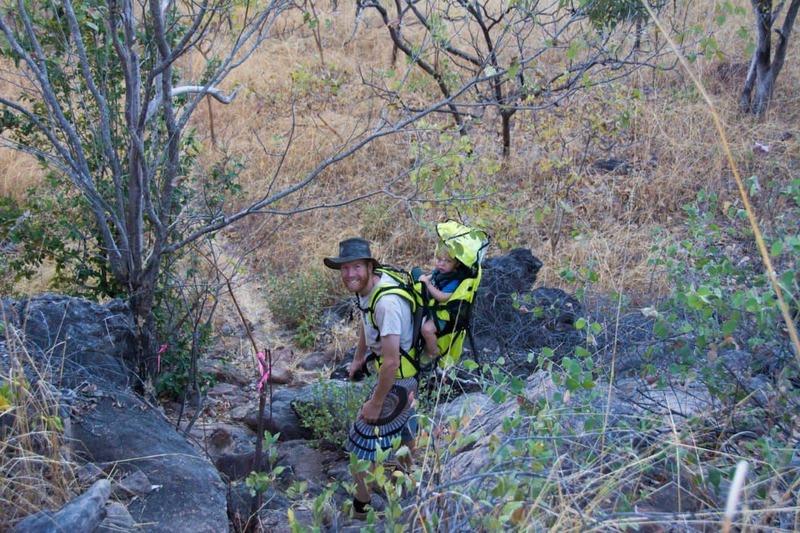 Like the rest of Kakadu’s attractions, Koolpin is a crocodile management zone. You are told not to go near the water at the campsite, which is the lower pool, as salties are often seen here. 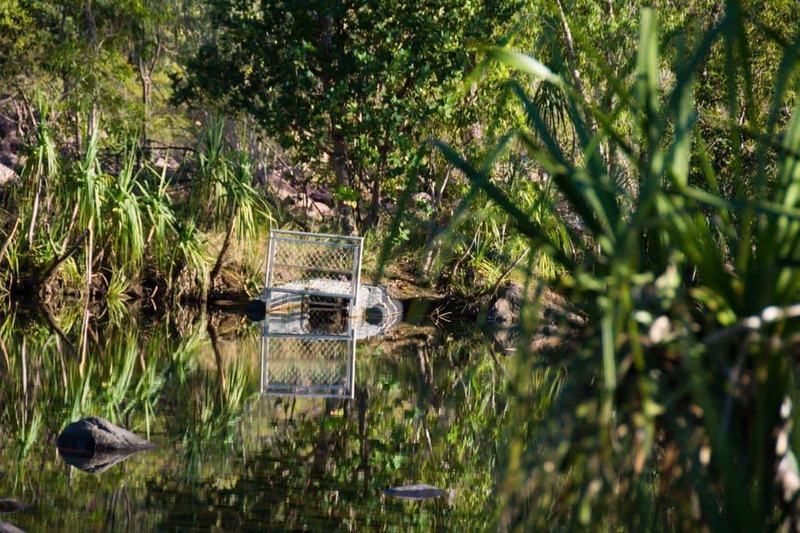 From there, vegetation pool, which is the first one, has a croc trap and you are advised not to swim there. 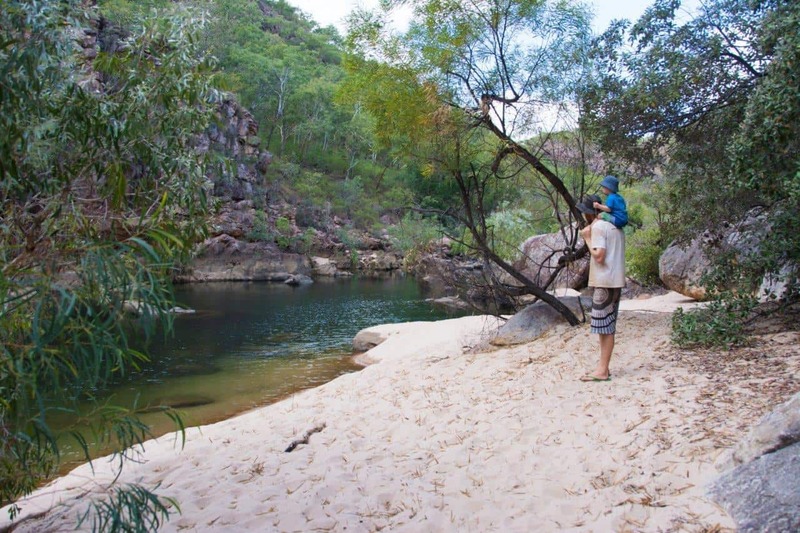 We were told by a few people it was safe to swim in the second pool, but someone working for Kakadu told us its better to go further up. The pools are deep, dark and there’s no way of telling whats in them. Given the gorge is so infrequently visited, and its relatively remote (when we did the walk we were the only ones there for several hours) we chose not to swim anywhere. The risk/reward ratio is just not worth it. You don’t have the comfort of knowing that thousands of kids have swum there for weeks before you and never had an issue (like you do at Gunlom!). That, and its a long way out for any help! As usual, its your call; swim if you want to, but do so at your own risk. Amazing, deep water that we simply didn’t feel comfortable swimming in! 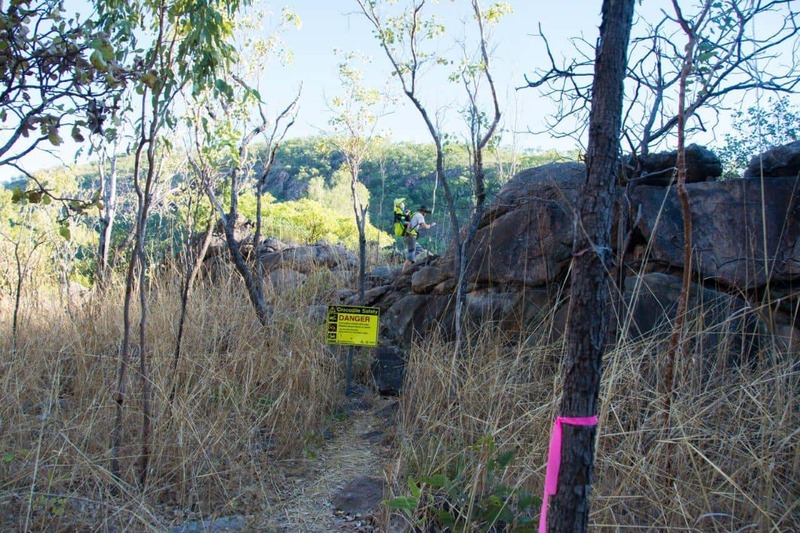 If I am completely honest, it was really off putting finding that 90% of Kakadu National Park is bitumen. I’ve never been to a national park that’s got so much man made intervention in it before, not that its all a bad thing. Koolpin was exactly what I was looking for. 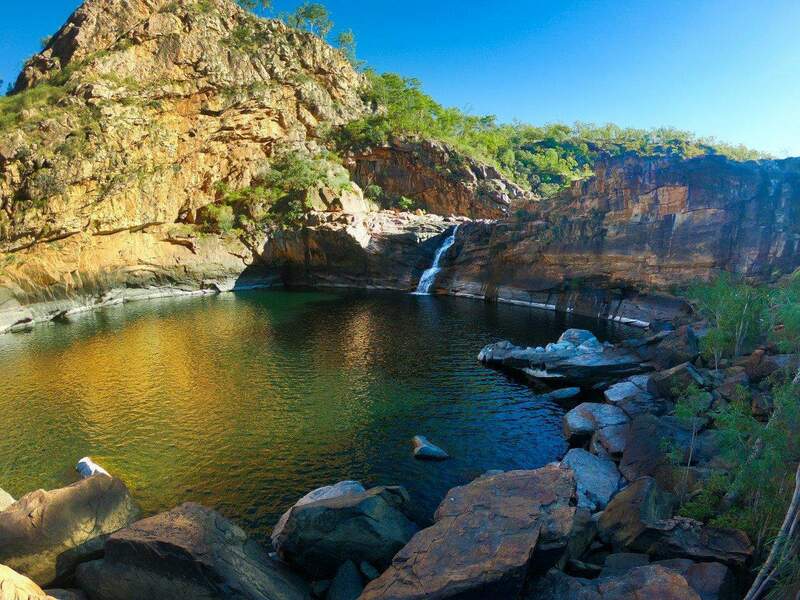 Kakadu is world renown, which makes it hugely popular for locals and tourists. As a result of this, its busy. 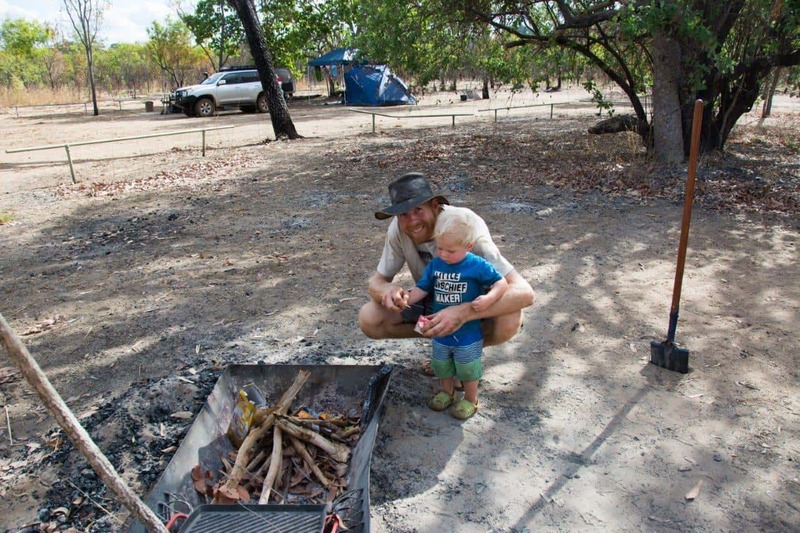 Any of the main camp sites are busy in the dry season, and I prefer to be away from the hustle and bustle. We nearly didn’t put the effort into getting to Koolpin, and it would have been a huge mistake. 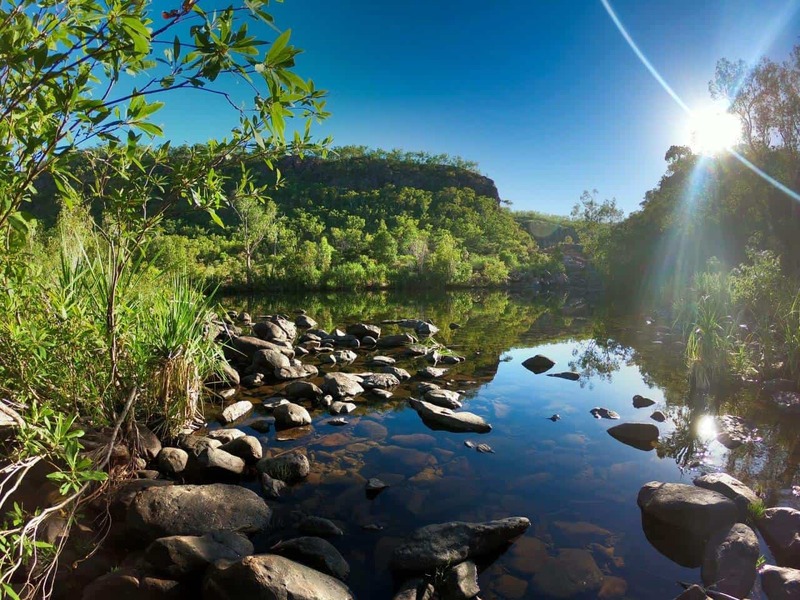 It’s everything Kakadu stands for, but without the crowds. We had a fantastic time there, and would highly recommend you visit it.